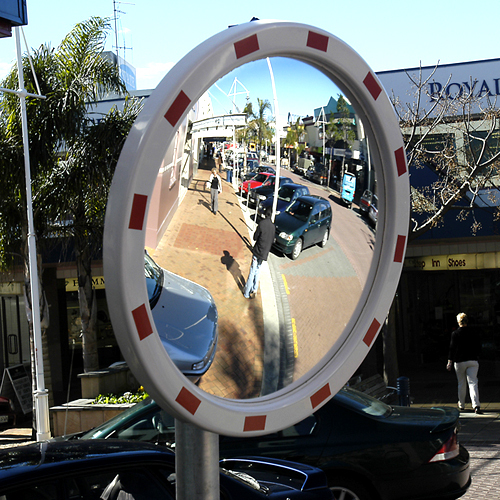 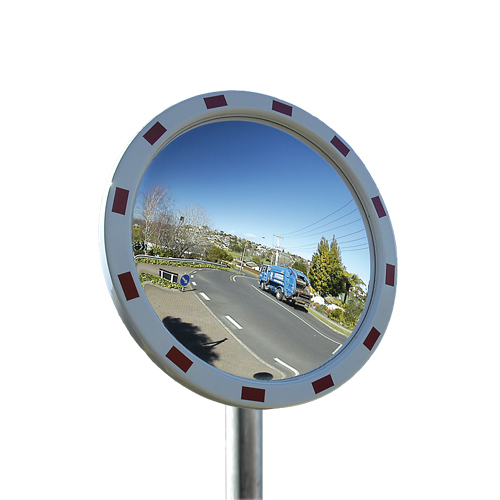 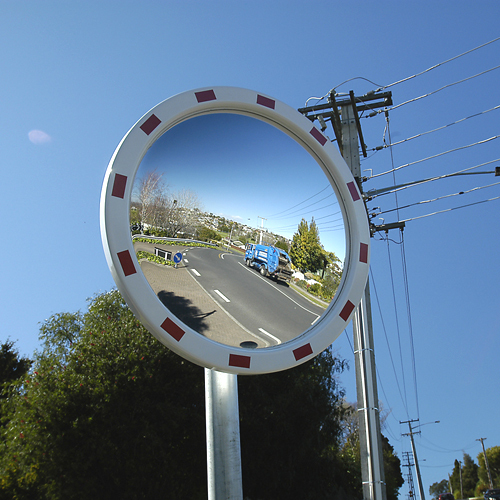 The 600mm high visibility, round traffic mirror has a superior distortion free image and will stand out for motorists and pedestrians when road safety is an important requirement. 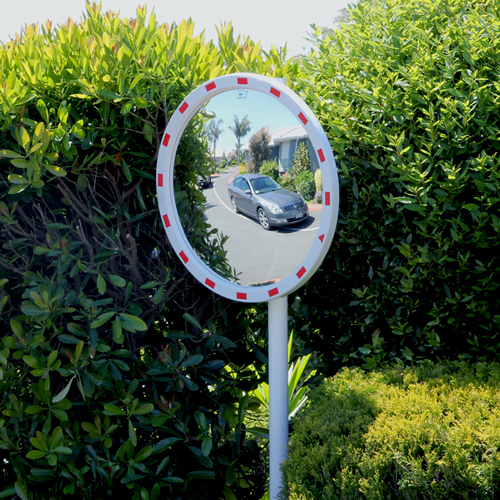 In addition to the clear mirror reflection, the back is made from a 100% UV stabilised advanced plastic composite, ensuring long lasting strength in all weather conditions. 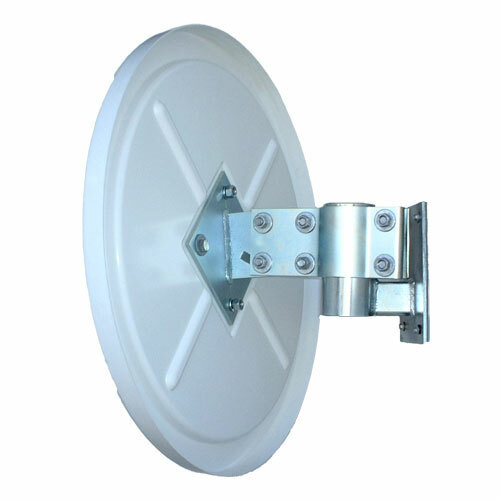 The enhanced safety features and extra strength pole mounting bracket make this the ultimate traffic mirror. 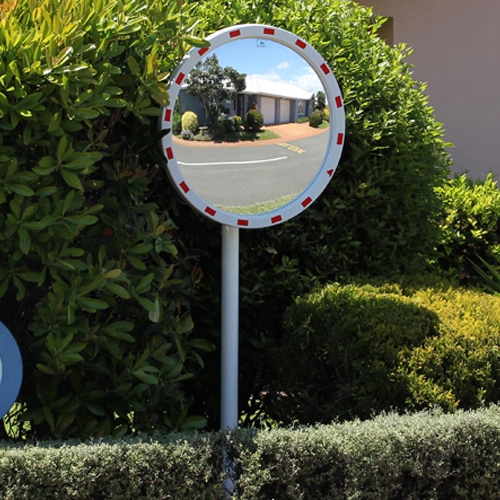 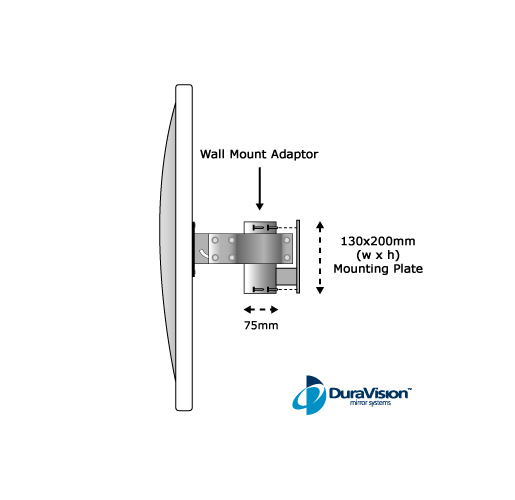 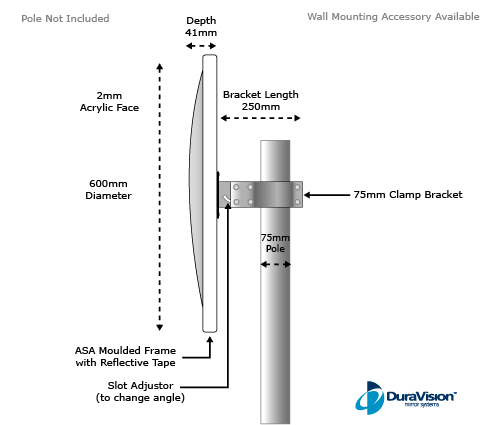 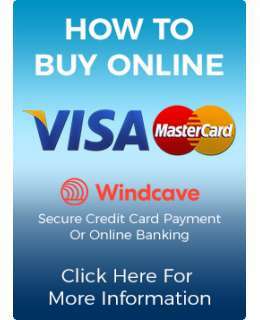 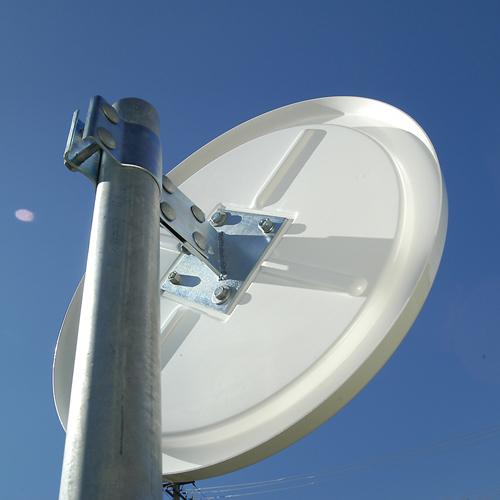 To mount this outdoor safety mirror to a flat surface, a wall mounting adaptor is available to purchase separately. VIDEO: High visibility Traffic Mirrors improve safety.